“The Emerald Coast” is how self-proclaimed sophisticated people (or local travel agents) refer to the area of land in the Florida panhandle that touches the Gulf of Mexico. Part of it–Panama City–is often labeled the “Redneck Riviera,” but really all of the area could pretty much earn this moniker. It’s pretty, though, and I just happen to have a continuing legal education seminar down there every couple years, which means a visit can be tax-deductible. This was such a year, so we drove to Sandestin from Atlanta, stopping for lunch with my mother-in-law in Montgomery. My conference was at the Hilton, but rooms big enough for a family of 5 there were exorbitantly expensive, so we stayed next door at a 2-bedroom condo in the Tops’l Resort. 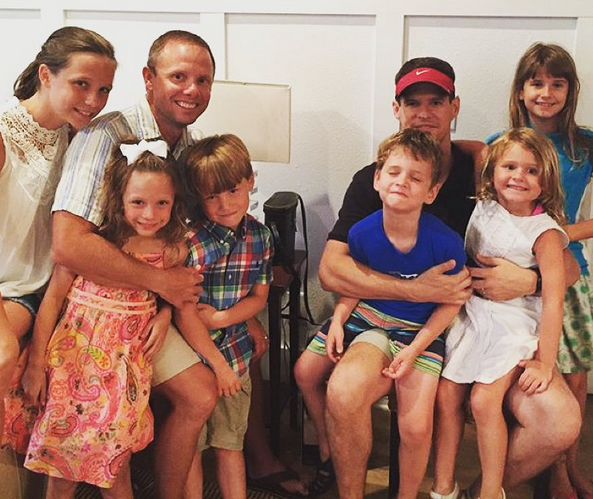 On the first evening, we met my friend Chad and his family at Seagrove (about 1/2 hour east of us), where they were on vacation. This was the second or third time my conference coincided with his vacation, so our children know each other and get along well. We thought a picture with all of them was in order. Know who don’t like to smile for a camera? Young boys. 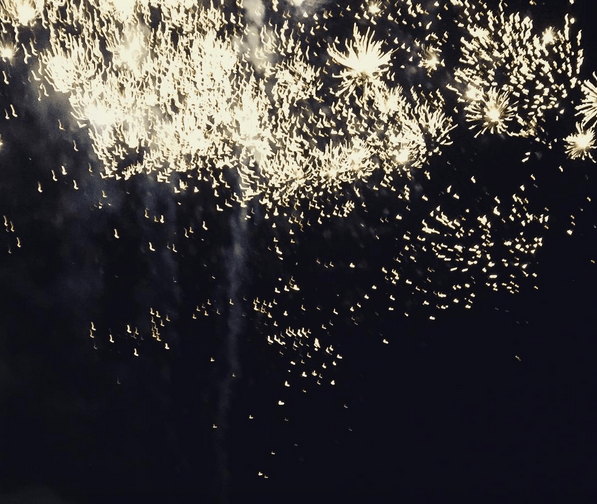 Know who like to light fireworks on the beach? Dudes who vacation at the Florida panhandle! It made for good family entertainment. The next day, we spent some time on the beach before I retreated to the room to bathe and take my scooter next door to the Hilton for the conference, where I heard several friends talk about different entities to sue and how best to sue them. 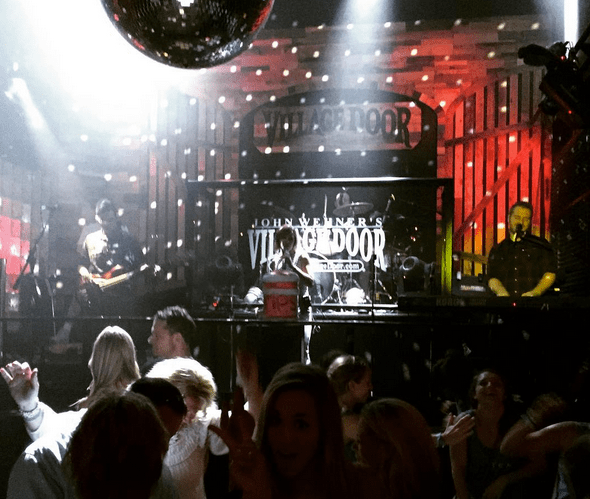 That night, a bunch of us went out for dinner and entertainment in the Baytowne Wharf village, including our traditional stop at the Village Door bar (where the house band covers the 80s every night) until it shut down. Then a bunch of us went out on the beach, and I got confused as how to get home on my scooter, resulting in some scratches on my ankles and a 5am bedtime. The next day was spent at the beach, and that night, there was a family-friendly social for the conference attendees and their children. The next day (Saturday), we had intended to leave, but after we checked out of our condo, I decided we should go by the Hilton for a bit to let the children enjoy the hotel pool and allow us some time to say “bye” to some friends. Instead, we stayed by the pool all day, because there were more vendor-sponsored social events with free food and drinks, and the children were having fun. So, I called the 3 nearest military installations and found the last available room at the 3rd place I tried (after striking out at Naval Air Station Pensacola and Eglin Air Force Base): Hurlburt Field Air Force Base. Then we had sushi at the Hilton with my friend Ben and his family before driving west along the coast. 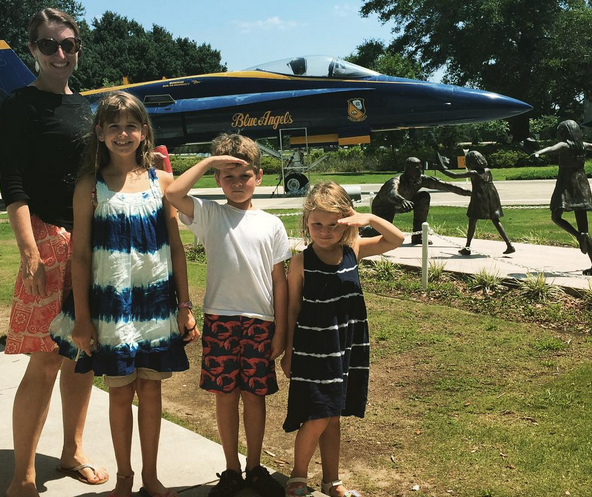 On Sunday morning, we drove even farther west and stopped at the Naval Air Station in Pensacola, home of the Blue Angels and the National Museum of Naval Aviation. Know what’s great on a really hot and humid day? A museum. Even better? A museum with an IMAX theater and a Blue Angels simulator. We did all of them. The children loved the entertainment, and I loved the air conditioning. My son even got a pencil sharpener shaped like an F-18. It was a great way to spend the last day of our 5-day weekend, and I highly recommend it. We stopped for some outstanding pizza at Midtown Pizza Kitchen in Montgomery, saw a bunch of deer along I-85, and rolled into Atlanta around 11pm. Such a good trip. Maybe the highlight of our summer!